One of the most special events of the year here at Peirce is the Spring Reception, the annual celebration which brings together alumni for an evening of social camaraderie, professional networking, and reconnecting with the school. This year’s Reception on May 19 brought nearly 300 guests to campus. Attendees gathered in College and Alumni Halls, as well as the J. Linford Snyder ’33 Courtyard, to get reacquainted with old friends as well as make new connections among members of the alumni community. A highlight of this year’s Spring Reception was the awards ceremony, during which two individuals were honored by the Alumni Association for service to the College, achievements in their professions, and volunteerism in the community. This year’s winners -- Frank Brodsky ’53 and Clem Piscitelli ’48 -- have deep roots at the College: when you combine the total number of the years with which the two of them have been affiliated with Peirce, their connection with the College extends over 140 years. 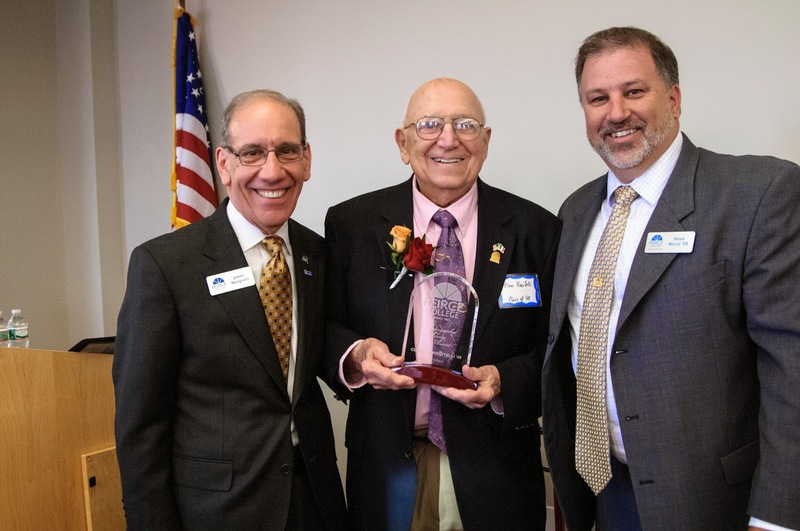 At age 92, the recipient of the Distinguished Service Award, Clem Piscitelli, still has an active practice as a Public Accountant and tax preparer with his own firm, Piscitelli Associates. He and his wife Liz – a fellow member of the Class of 1948 - raised their five children in Langhorne, Pa., where he was an active volunteer with the Boy Scouts, Lions and Rotary, and served as an elected member of the Neshaminy School Board for over a decade. As a dynamic Peirce alumnus, Clem has chaired reunion committees, visited high school college fairs, and offered counsel to six decades of Peirce presidents and administrators. He has been a generous donor to the school and helped spearhead the creation of the Angelo E. DiAntonio Accounting Award. Frank Brodsky, the winner of the Distinguished Alumni Award, has been engaged in the investment business since 1956. Frank is senior vice president, investments with Wells Fargo Advisors, serving as a financial advisor to a wide range of clients, and has worked for Wells Fargo and their predecessor companies for his entire career. He has complemented his professional success with a strong commitment to serving others. 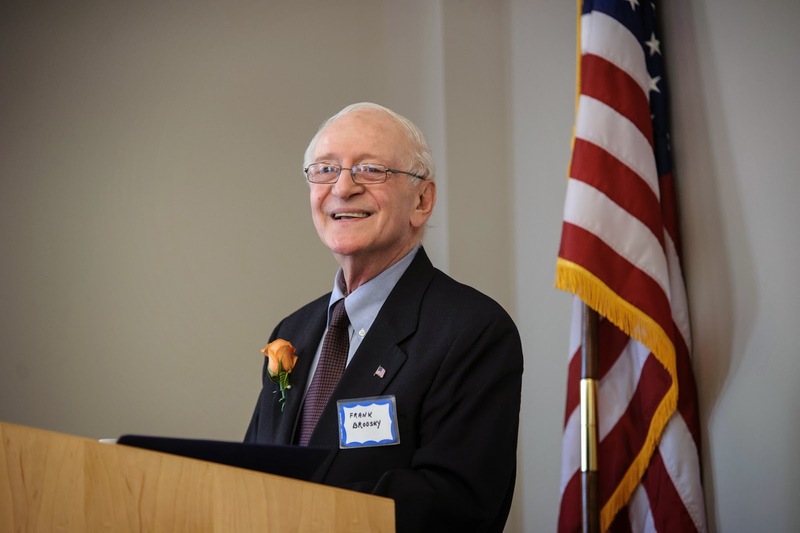 A Korean War veteran, Frank has invested countless hours as a leader in charitable endeavors, particularly in the Jewish community here and abroad. He has remained actively committed to Peirce’s success, currently serving as a member of the Student Mentoring Program and as a member of the Business Administration Advisory Council. If you would like to learn more about getting involved in the Alumni Association and help create community among our graduates and students, contact me at rfconnors@peirce.edu or 215-670-9003.